Karen Vernon is a PSST member and owner of The Gallery at Round Top. 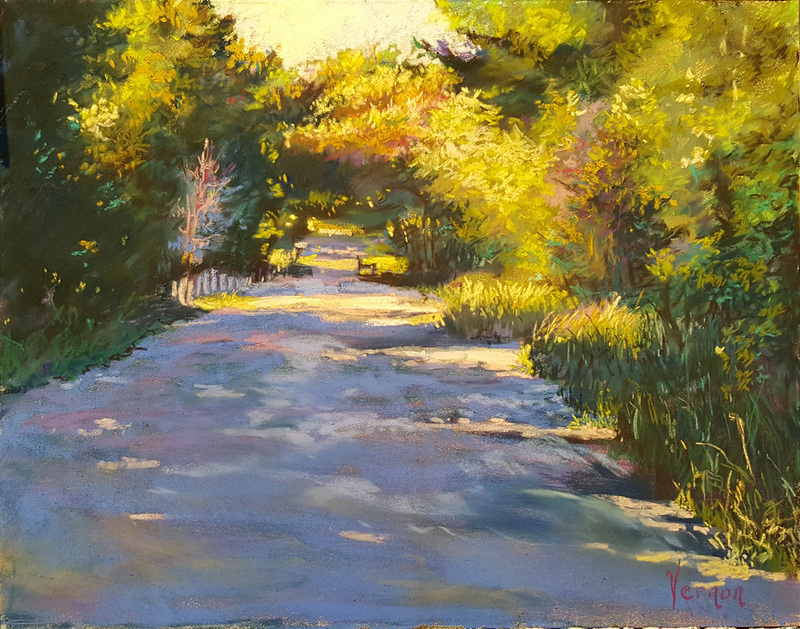 Located at 201 East Austin, Round Top, Texas, the gallery plays host to PSST's exhibition, Art of the Pastel 2016. PSST: The Gallery at Round top is in a unique location. Tell us about you and the gallery. Karen Vernon: In 2016, The Gallery at Round Top is celebrating its’ 10th anniversary in the historical and culturally rich community of Round Top, Texas. Through over a century of development, this charming town has evolved and adapted, maintaining its farming and ranching industry while evolving into one of Texas’ leading cultural communities. It is the home of the internationally acclaimed Round Top Festival Institute along with performances throughout the year by the Fayetteville Chamber Music Society and the neighboring Shakespeare Festival in Winedale. Much of the cultural evolution of Round Top, like that of Houston, is in part due to the active involvement and contributions of Ima Hogg. As award winning and nationally recognized artists themselves, the owners, Karen Vernon and Ken Muenzenmayer arrived in the gallery business as highly skilled, qualified artists with a bounty of artist associates from which to draw from for representation in the gallery. They opened their gallery doors representing 7 artists, friends and associates they knew from a career as art show and gallery artists. Since then, the gallery has grown to represent over 150 notable artists from across the nation and is positioned as South Central Texas’ foremost gallery. 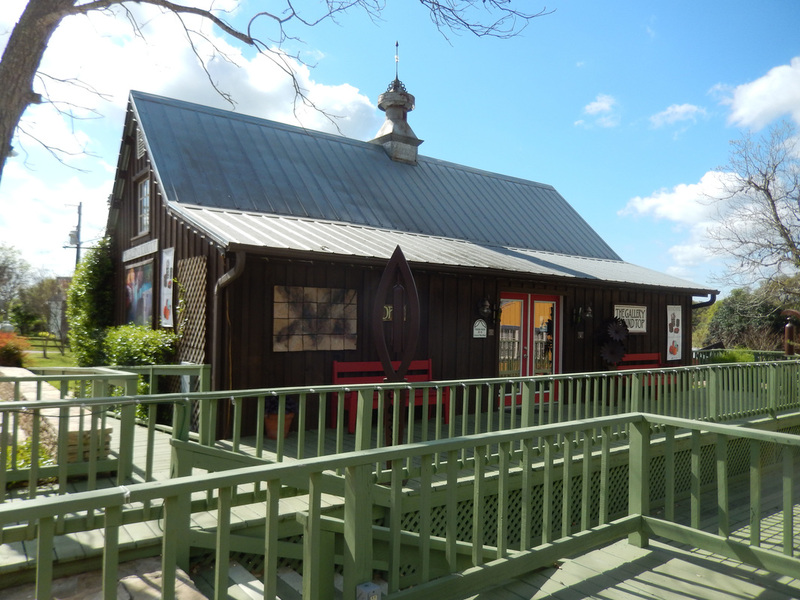 Now housed in two buildings in Round Top, the gallery has hosted such acclaimed touring exhibits as Art of the Real, a watercolor exhibit touring Shanghai, London, New York, Edinburgh, Charleston, and, yes, Round Top, Texas. 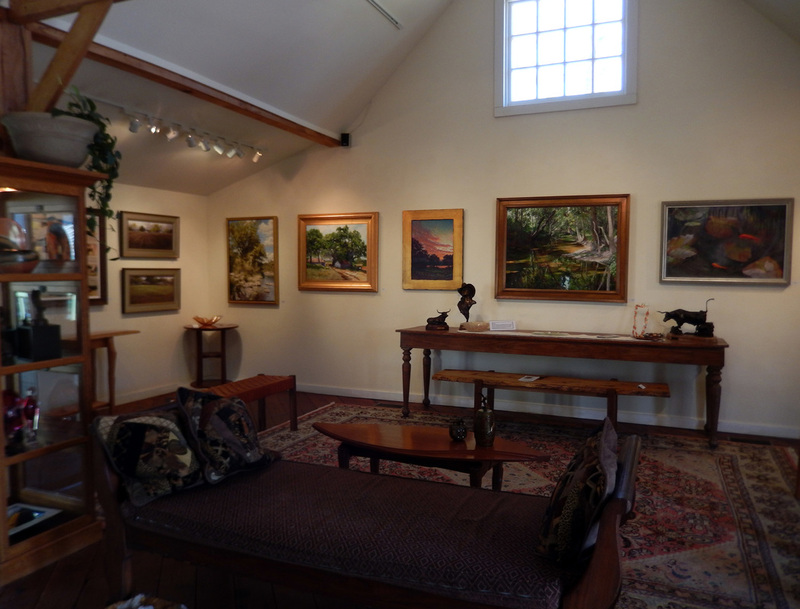 Annually, The Gallery at Round Top also hosts a national salon competition. 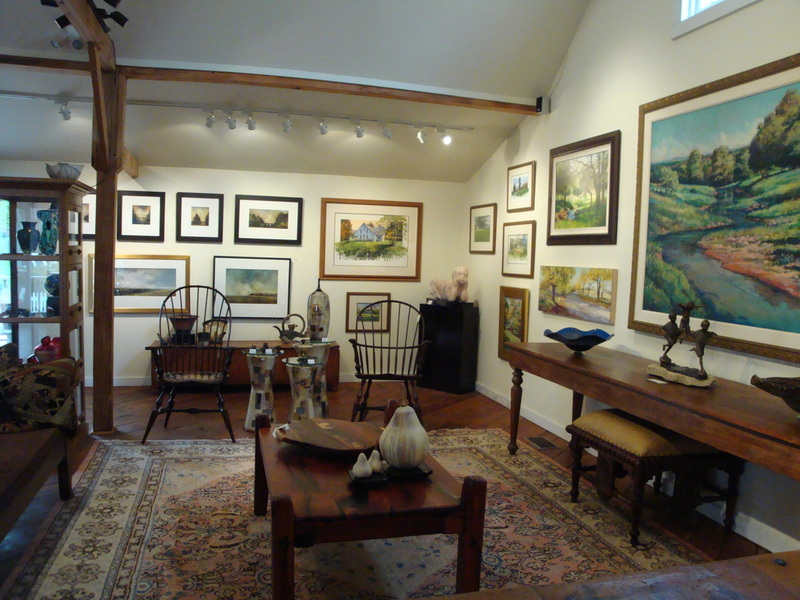 PSST: You are a pastel artist as well as a gallery owner. How are pastel paintings perceived by the public? How would you recommend we promote pastel to the public? Karen: It is interesting to watch the patrons as they peruse the works in the gallery. Marketing works under glass is certainly a challenge. With my own history in watercolor painting, I am very familiar with the challenges of glass. However, we have found that the pastels and pastel painters that we represent strongly stand up against the works on canvas and panel, works not under glass. The rich quality of color and the visibly interactive strokes of the artists seem to draw the viewers to the pastel. People are always surprised at the richness of the medium, thinking that pastels and watercolors are media that are going to be anemic and pale. The glass factor seems to have created a challenge in marketing larger (full sheet and larger) pastel paintings. However, the small to mid-size pieces sell readily in our gallery. Regarding educating the public and marketing the medium, I feel that it should be approached from two directions. First, I feel we should reach back into history and educate the public on the great pastel painters and the permanence of the medium. Secondly, survey your artists and ask why they choose to work in pastel. Then promote that. For me, it’s about the stroke, the immediacy of the emotion, the richness of color and the ability to quickly strike the surface with passion and a pure visual voice. What other medium allows you to grab a chunk of raw color and drag it across a surface, laying down a path that voices, “I, the artist, was here.”? PSST: You are hosting our exhibition Art of the Pastel 2016. How important are framing and presentation in a show overall, and in sales in particular? Any special tips on framing? Karen: Framing tips is a difficult subject to address. Framing for the market and framing for competition often require two different approaches. As a judge of other shows, I look for continuity in presentation in the show. I don’t want any frame in a show to stand apart from the others. I want simple frames that are similar so that the body of art works continuously as a whole, allowing the artwork to be the primary focus in the exhibition. I feel the framing guidelines should be defined by the show in the prospectus. It is only fair to allow the artists to know what is expected and to give them time for the appropriate, required presentation. That being said, generally, simple competition frames are not what people are looking for in their homes. I find that the current trend of presenting pastels with no mats is readily accepted by the buyer. The larger white mat presentation on pastels and watercolors seems to be associated with the ‘80’s and is not well received in today’s market. Also, metal section frames are passé. If this is the look that an artist is seeking, he is better off with a simple, small, black, wood frame. Art Glass or Museum Glass are preferable to regular glass. PSST: What do you think is the most important marketing tool for artists to promote their work? Why? Karen: Direct correspondence. I find my most productive tool to be the internet newsletter and promos I send out. In the 80’s and 90’s I sent a printed newsletter to all of my clients. It always paid for itself and generally generated a healthy profit. Today it is much simpler using blogs (Yes, blogs are for those other than your peer artists.) and programs like Constant Contact, Mail Chimp, and others. The more personal a relationship the artist has with his buyer, the better and more loyal a client relationship is built. Let your clients know who you are as an artist and a person. Share yourself, your interest. Don’t always speak of your art, but share your humor, your joy, the curiosities you discover. Let them know your vision. Create an artist statement, not just a resume, that speaks of your quest as an artist and share the ongoing challenges in that quest. PSST: Most of us want to eventually show our work in a gallery. What advice can you give us? Karen: Never do a “walk in” to a gallery. Gallery owners are extremely busy. There aren’t enough hours in the day to do all that must be done to generate interest and sales. Visit galleries and find one that you feel best represents you and your art. Do not seek a gallery that already carries work like yours. They already have it on the wall. Find a gallery that “fits” but needs your imagery. Then write the gallery via traditional mail or, as I personally prefer, by email. Introduce yourself and either send some images or refer the gallery to your website for review of your work. Our gallery does not want to carry an artist with whom we are going to have to compete. We don’t want someone that is everywhere or someone that is selling off of the web against us. It costs a gallery a great deal of time and money to promote an artist. In today’s market, a gallery doesn’t need an artist that is direct marketing off of their own site in competition with the gallery. If you are seeking gallery representation, you must refer people to your galleries, price match all gallery prices, and stay out of the gallery’s territory. Your most valuable time is your studio time! PSST: How are your exhibiting artists selected? Do you like to see portfolios or prefer looking at websites? Karen: We are primarily a gallery that speaks of color, a passion of my husband, Ken, and myself. As artists, through our different media, we have built our careers on the exploration of light and color. 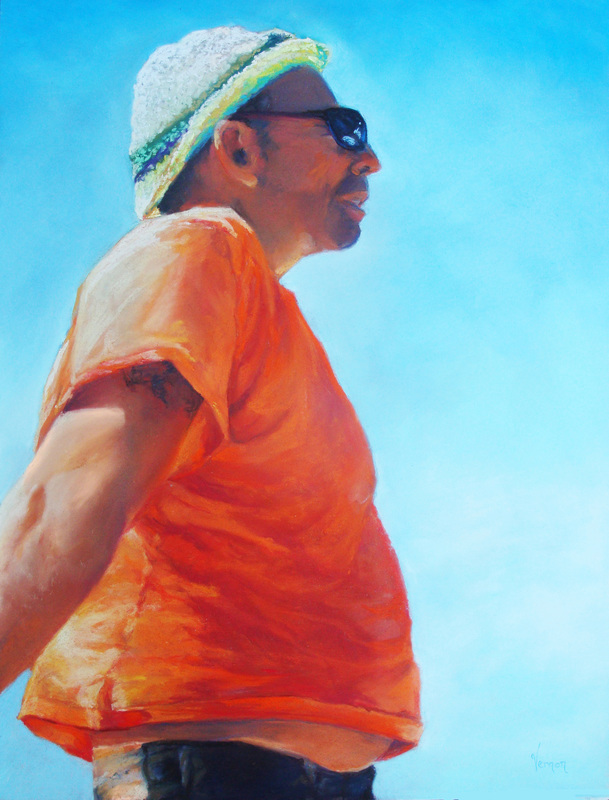 The subjects and styles in our galleries vary greatly, but color is a constant. We seek to represent works of quality and artists of professional caliber. We are always willing to review works but are finding our space more limited and are reducing the number of artists we accept. We are hoping that this allows us to better devote time and effort to those artists in our stable. I, personally, like to review works online prior to the work itself. This allows me to see a body of work, not just a few pieces. I can see the consistency and the current direction of works by the artists. It also allows us to see if the work repeats what we already represent. We don’t want our artists to compete with each other. If we feel that the work is quality and a good fit for our galleries, then we will ask to have a few framed pieces brought in for our review. This allows us to see the real thing and its presentation. We prefer to initially take in a minimum of 5 pieces in a full range of prices. Price is a factor. If the work is priced too low, we will decline it. If it is priced too high, we will decline it. The price needs to fit our gallery along with the artwork. We offer reasonably priced works to higher range pieces, but there is an average price point of most of the works in the gallery. It all comes down to fit, consistency, quality, professionalism, and support. All that you expect from your gallery, you should be willing to give in return.